China Is Going to Shake the World. Will You Be Ready? The world’s second largest economy is on the edge of a great transformation or an epic disaster. It has enormous implications for the global economy either way. 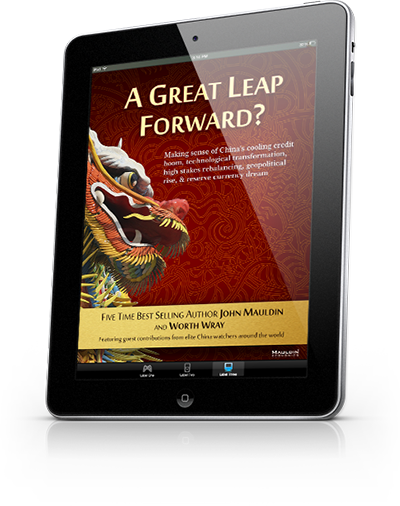 This 295-page ebook from best-selling author John Mauldin and Worth Wray features an all-star cast of China watchers. Whether you’ve watched from afar or seen the China miracle firsthand, this book will help you consider China’s future from a variety of perspectives. Most important, you’ll learn what China’s changes mean for your portfolio. Many economists and historians credit Beijing’s central planners for the nation’s transformation from a poor agrarian economy in the 1970s to a space-age industrial dynamo today. Some think an even greater leap forward is coming. John Mauldin and Worth Wray say that either way, China will shake the world. Decades of central planning have left China’s “old” smokestack economy overbuilt and awash in debt, with a banking system that may be seriously underwater. Beijing hopes rising retail consumption and productivity will usher in a new era of growth but the devil is in the details. China’s reformers face rising debt, zombie industries, a “deliquified” banking system, widespread risks to employment, and even threats to the Communist Party itself. The People’s Republic needs a new plan. We will all learn in the next five years what it will look like and whether or not it will work. In A Great Leap Forward?, John and Worth continue the Mauldin Economics tradition of making the complex simple. Their handpicked experts will take you on a fascinating journey through China’s past, present, and future. China’s future is the entire world’s future. What will it look like? Read A Great Leap Forward? to find out. 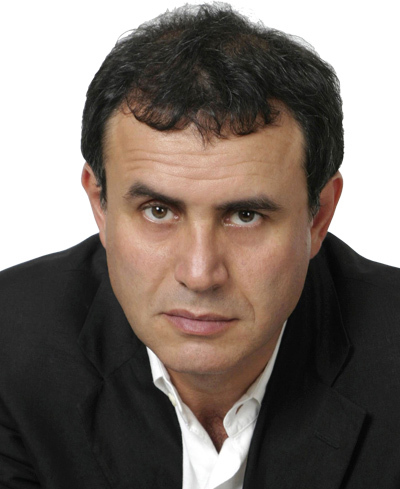 Nouriel Roubini, a.k.a. “Dr. Doom,” cofounder and chairman of Roubini Global Economics, explores China’s rise as a great geopolitical power and examines how such transitions historically come with elevated risks to global order. Roubini describes what must happen if China and the world are to avoid a conflict no one wants. 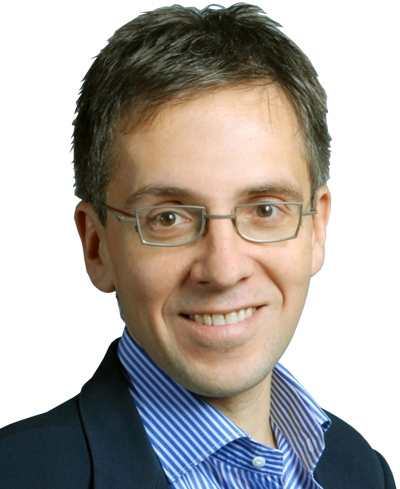 Ian Bremmer, president of Eurasia Group, is a world leader in political risk assessment. He describes China’s prospects as more uncertain than those of any major economy on the globe. Bremmer thinks Xi Jinping’s bold and complex reform agenda may be what China needs but it carries serious risks and many potential conflicts. Louis-Vincent Gave, CEO of Gavekal Research, offers a grounded perspective on the Chinese currency’s rapid internationalization, which he sees as central to Beijing’s reform agenda. To move beyond high-volume, low-margin exports, China must offer attractive financing terms to emerging market customers. The renminbi’s rise as a trade currency is key to the entire strategy. Raoul Pal, founder of Real Vision TV and author of The Global Macro Investor, warned in 2003 that China’s boom had a shaky foundation and would eventually collapse. In A Great Leap Forward? we see why he may soon be proven right. Ambrose Evans-Pritchard has covered world politics and economics as a journalist for 30+ years. He currently writes for the Daily Telegraph. Ambrose thinks Beijing’s power to manage its debt burden is dwindling fast. With no safe way to deleverage the economy, Xi Jinping is rapidly running out of options. China’s troubles could well become our own. Jack Rivkin, CIO of Altegris Investments, says Beijing is making huge strides in encouraging the development of intellectual property, but China is still not turning its intellectual property into innovations, and ultimately businesses, at the pace of the developed world. Technological advances will transform China’s economy in the coming decades, but that may not be enough to save it from an imminent crisis. David Goldman, managing director at Reorient Group, says China’s rapid innovation combined with an entrepreneurial population may help it avoid the bust that usually follows debt-driven, extraordinary economic-growth miracles. Jawad Mian, author of Stray Reflections, sees huge opportunity in what he calls “New China” as the country defines itself with technology, services, and retail. China’s real growth, Jawad argues, is not on the ground but in online e-commerce. George Magnus, independent economic consultant and former UBS chief economist, explores the contradictions in Beijing’s plans to deleverage debt while maintaining economic growth. The key will be Xi Jinping’s anti-corruption campaign. Without tough reforms, China could meet the same fate as the former Soviet Union. Leland Miller, president of China Beige Book International, exposes the flaws in China’s state-generated economic data and shares a better way to assess the health of the otherwise opaque economy. He also explains why Beijing does not want to devalue the renminbi despite its exporters’ eroding competiveness. 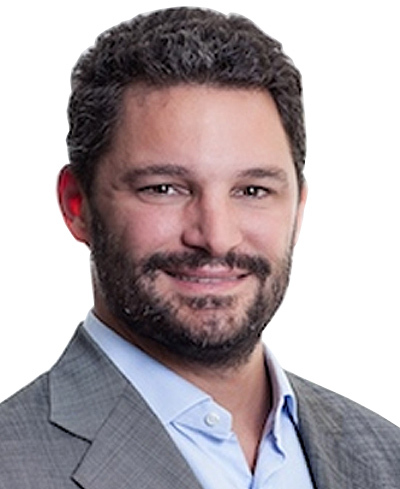 Mark Hart, founder of Corriente Advisors, believes the People’s Bank of China will eventually choose to devalue the renminbi in order to avert a balance of payments crisis. Mark was one of the few investors to anticipate both the US subprime crisis and the European debt crisis. Could he be right once again? Logan Wright, senior analyst at Medley Global Advisors, shows how nonperforming loans are pushing the Chinese banking system into “deliquification” and a scramble for cash. Ernan Cui, consumer analyst at Gavekal Dragonomics, unravels the connections between Chinese wages, consumption, and labor. She asks where the much-needed household spending boom will come from as middle-class income growth weakens. It’s a good question that, once again, leaves the burden on Beijing should the business cycle not agree with its stated reform objectives. Andrew Batson, lead analyst at Gavekal Dragonomics, explores the way China has tried to replace slowing export growth to developed countries with sales to other emerging markets. Rebuilding ancient “Silk Road” land and sea trading routes could be either a bold vision, or another wasted effort. Simon Hunt, founder of Simon Hunt Strategic Services argues the world is already at war with the US and its allies on one side and China, Russia and their allies on the other. The conflict is currently financial and technological, but could spin out of control at any time. Samuel Rines, analyst at Chilton Capital Management, explores the global implications of the “dual taper,” the simultaneous end of US Federal Reserve accommodation and China’s once-robust investment boom. The combination will have far-reaching consequences for the entire globe. Jason Daw and Wei Yao, economists at Societe Generale, look at China from the perspective of foreign exchange strategy. They explore the renminbi’s near-term future and the policy choices Beijing must make in these volatile times. Enter your email address below to download a FREE sneak-preview of the book. Watch John Mauldin and Worth Wray discuss China at the Mauldin Strategic Investment Conference, San Diego, May 2015. A sold-out crowd of almost 700 heard John Mauldin and Worth Wray share their China vision at this year’s Mauldin Strategic Investment Conference. Contributors Michael Pettis, Ian Bremmer, Raoul Pal, Jack Rivkin and Louis-Vincent Gave were on the agenda, too, giving the event a deep China connection. A Great Leap Forward? is the next best thing to a front row seat. "What I like about this book is that it's intellectually honest. John & Worth haven't tainted it with their overall opinions. They've given their opinions but then allowed a whole group of brilliant thinkers to broaden the discussion & allow readers to form their own conclusions. There's not enough of that done these days." "You have absolutely excelled in producing this opus. Talk about a labour of love or Hercules, intellect, or whatever. Well done: in collating the material, writing your own thoughts, and the connecting narratives." John Mauldin has been digging into the global economy and investment markets for decades. Rarely, if ever, has the economic environment been as challenging as it is today. Consequently, it’s never been more important for you to team up with an organization like Mauldin Economics. John’s team gives you access to the very best information and analysis on the economy. Mauldin Economics removes the noise and shines a light on what matters now... to show you where we’re most likely heading next and to give you the specific investment ideas you need to reach your goals in the challenging months ahead. Copyright © 2015 Mauldin Economics. All Rights Reserved. 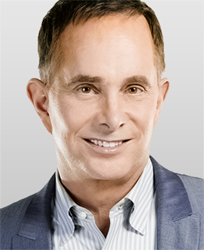 John Mauldin is the Chairman of Mauldin Economics which publishes a growing number of investing resources, including both free and paid publications aimed at helping investors do better in today's challenging economy. For more information on these publications go to www.mauldineconomics.com. In addition, John is the host of the Strategic Investment Conference an annual event for accredited investors that draws a faculty of some of the most respected investment and economic luminaries in the world. He is a frequent speaker at conferences around the world and consults with a number of private firms. He is also a sought-after contributor to numerous financial publications, as well as a regular guest on TV and radio. 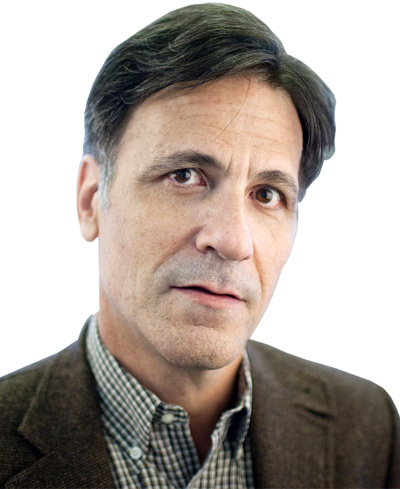 Worth W. Wray is the Chief Strategist to John Mauldin and a contributor to Mauldin Economics. In addition to assisting John with global economic research, Worth is charged with translating John’s macro views into long-term themes and a general investment framework capable of participating in the global markets, profiting from creative destruction, and protecting against loss in periods of profound market stress. 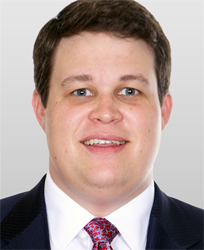 As the former Portfolio Strategist at a Texas-based alternative investment firm with over $18 billion under management, Worth has spent years working with leading investors from the endowment and pension world to deliver innovative investment solutions to Financial Advisors and their clients. A native of Baton Rouge, Louisiana, Worth earned his undergraduate degree in Economics with a minor in Modern Chinese Commerce and Culture from Louisiana State University and completed the Mandarin Chinese Short Term Programme at Fudan University in Shanghai, The People’s Republic of China. Worth is also the co-founder of Firestarter, a non-profit with a modern approach to charitable giving and 21st century vision for development in some of the world’s most dysfunctional economies. Worth lives in Houston and is married to his south Texas sweetheart, Adrienne.